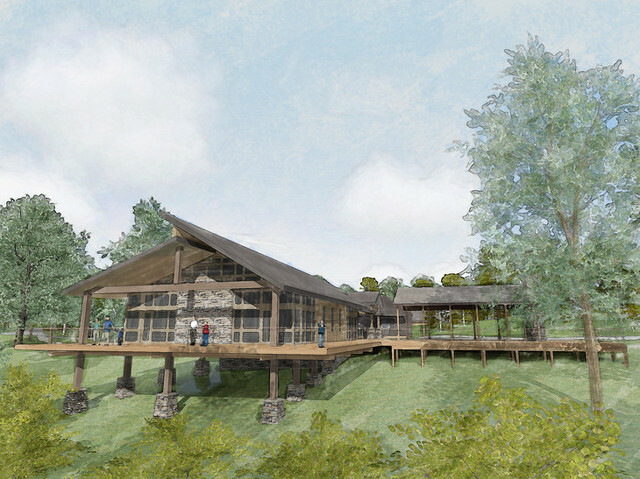 Shaver's Creek Environmental Center, Penn State's nature center in Petersburg, will close beginning Monday and remain shuttered through most of 2017 for a major expansion and renovation project. The construction will mark the first major upgrades in the Huntingdon County center's 40-year history. It will be open until 5 p.m. on Sunday, and the annual Fall Harvest and Maple Harvest festivals will not be held during construction. Some select activities will operate at the center through construction, and visitors should check ShaversCreek.org or call (814)863-2000 for up-to-date information. The center will continue offering Penn State courses at the University Park campus, its traveling naturalist programs, and offsite team-building programs. Though Shaver's Creek was founded in 1976, its original main building was constructed in 1938 as a forestry lodge for group functions and warm-weather instruction. The upgrades are intended to accommodate the more than 60,000 people who go to the center each year, including 1,300 Penn State students (up from 275 in 2001), 50,000 non-credit program attendees and 9,000 visitors. Shaver's Creek is home to 35 credit-bearing courses in nine Penn State departments. It provides resources for Penn State and the regional community, including the environmental and raptor centers, outdoor school and public festivals. 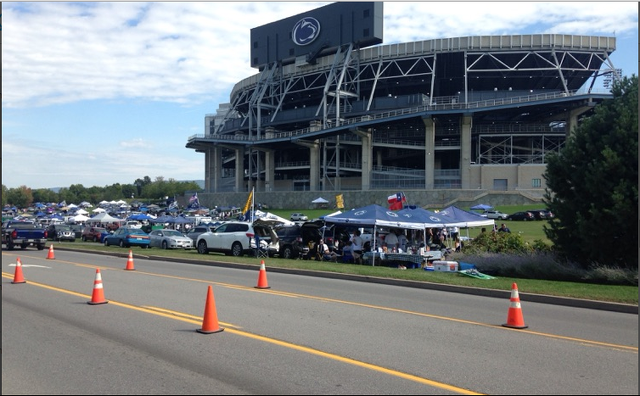 Penn State Athletics announced new security measures for entering Beaver Stadium this year on Tuesday.